The Concept EQV features a compact electric drivetrain (eATS) on the front axle with an output of 150 kW. The electric motor, the transmission with fixed transmission ratios, the cooling system and the power electronics form a compact and integral unit. Energy is supplied by a lithium-ion battery. 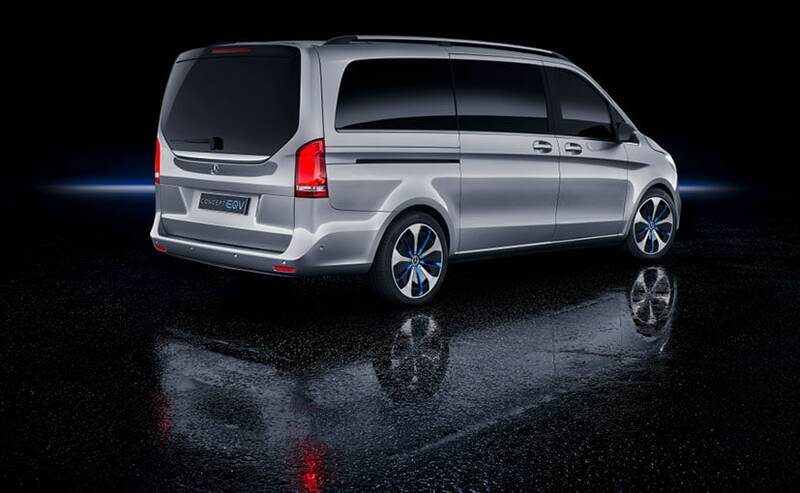 Mercedes-Benz today unveiled its first purely battery-electric people mover in the premium segment - the Concept EQV. 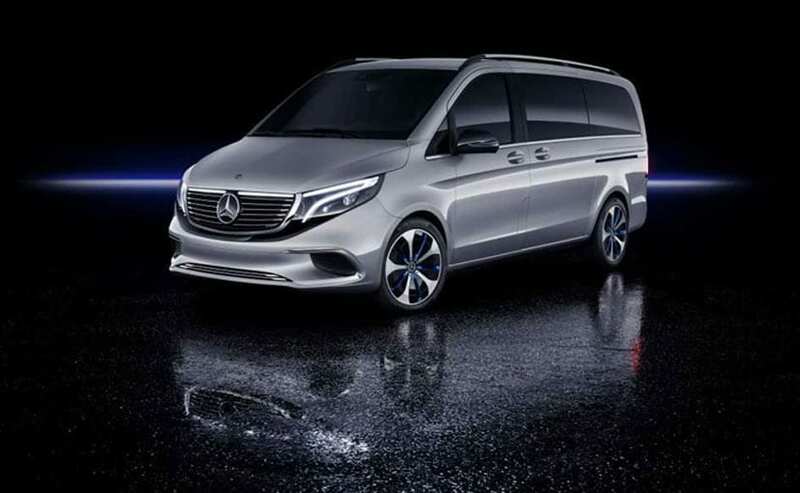 Mercedes-Benz Vans plans to release a series-production vehicle on the basis of the Concept EQV, which will be presented to the public at this year's Frankfurt Autoshow. The company says that the EQV has a range of up to 400 kilometres and rapid charging to enable a range of 100 kilometres within just 15 minutes. The Concept EQV is representative of the consistent development of the "EQ" technology brand. Mercedes-Benz founded the technology brand in 2016, kicking off with the "Concept EQ". At the 2017 IAA, the "Concept EQA" followed in the compact segment. In September 2018, the brand presented its first series-production vehicle: the EQC electric drive SUV. The Concept EQV will expand the model range by a premium MPV for up to eight occupants. The Mercedes-Benz EQV gets a radiator grille with chrome inserts and an LED band - typical characteristics of the EQ design idiom. Wilfried Porth, Member of the Board of Management of Daimler AG. Human Resources and Director of Labor Relations, Mercedes-Benz Vans said, "Mercedes-Benz Vans is consistently advancing the electrification of its product portfolio. With the Concept EQV, we are now taking the next step. The concept offers all of the brand-typical attributes familiar from this segment which Mercedes-Benz customers have come to know, appreciate and also expect. As a family companion, a leisure-time adventurer or a shuttle vehicle with lounge ambience, the combination of these characteristics with a battery-electric drive mean the Concept EQV is a concept car with a future. 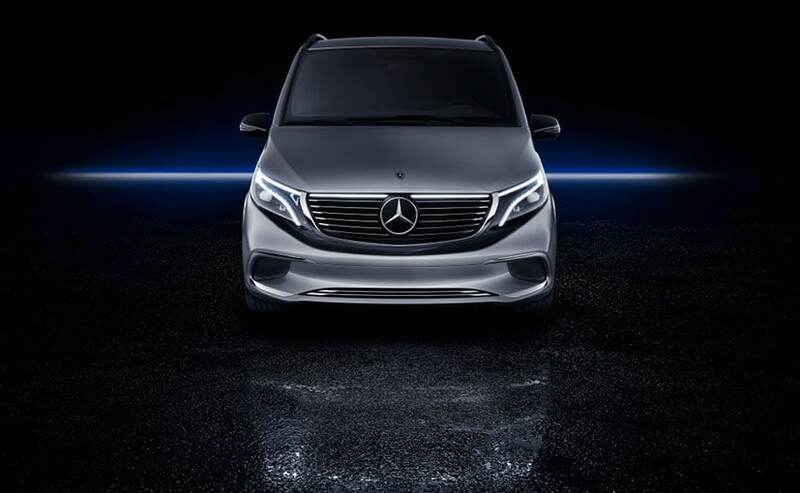 And so we're particularly excited that we will soon be able to offer a series-production model on the basis of this concept"
The Mercedes-Benz Concept EQV will expand the model range by a premium MPV for up to eight occupants. As a member of the EQ family, the Concept EQV also benefits from the comprehensive scope of the technology brand's electromobility ecosystem. This starts with comprehensive advice and a range of services, right up to the charging infrastructure and even a modified navigation system which takes into account the charge level of the battery. There will also be apps which, for example, enable control of the pre-entry climate control or cash-less payments at public charging stations. The EQV gets a radiator grille with chrome inserts and an LED band - typical characteristics of the EQ design idiom. The whole exterior is painted in high-tech silver while the bumper delivers an unmistakeable appearance thanks to large air inlets and two broad chrome inserts positioned towards the outer edges. LED headlamps underline the presence and sporty direction of the concept vehicle. This impression is enhanced thanks to the tidy profile as well as by the 19-inch light-alloy wheels which, even at a standstill, look dynamic. 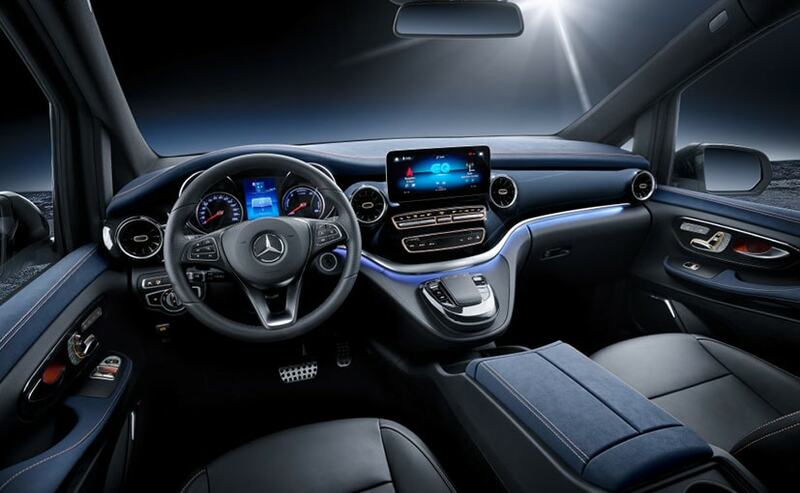 The EQV's interior sees some cool aesthetics and gets the MBUX infotainment system (Mercedes-Benz User Experience) which unites a self-learning voice control system with innovative connectivity features. The EQ product and technology brand stands for a comprehensive electromobile ecosystem of products, services, technologies and innovations. The spectrum ranges from electric vehicles to wallboxes and even as far as charging services and charging infrastructure. Until 2022 the whole Mercedes-Benz Portfolio is planned to be electrified. This means that electrified variants will be offered in every segment - from the compact car to the large SUV.